Establish the person's religion. All pre-1938 records are held by the respective churches. Detailed information about ealiest baptism, marriage and death records in the individual parishes can be found in reference books such as Handy Guide To Austrian Genealogical Records by Dagmar Senekovic (published 1979 by Everton Publishers, Inc.). 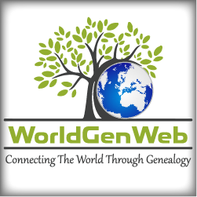 Try the GenTeam database (free; more than 18 million records per March 2018). Matricula provides online access to church registers (mostly books of birth, marriage and death) from various European countries (currently Austria, Germany, Poland and Serbia). If your are interested in historic documents, try monasterium.net - a virtual archive that lets you access a content of more than 500,000 primary sources from more than 100 European archives. Personal visits to the parishes and/or snail mail enquiries are sometimes the best solutions; see tips & advice. If the person served in the military, try the war archives.